Gee Wizz B & B Scottburgh is one of the famous and well known bed and breakfast places in Scottburgh, offering our guests the best overnight stay. All guests are welcomed by the owners and looked after during their stay with us. We are always available to assist. Gee Wizz Bed and Breakfast, Scottburgh, caters and invites all travelers local or international to enjoy our hospitality while holidaying, diving or travelling through the South Coast. Yvonne is a well-liked and friendly host that will go out of her way to help all and to make your stay at Gee Wizz B & B, Scottburgh as peaceful and enjoyable as possible. She has vast experience in personal care, accommodation and customer satisfaction. All rooms are prepared under her care and supervision to ensure our customers get only the best. Yvonne is always available should you have special requests. Make sure you call Yvonne, drop her a Mail or book online now for your next stay at Gee Wizz B & B Scottburgh. 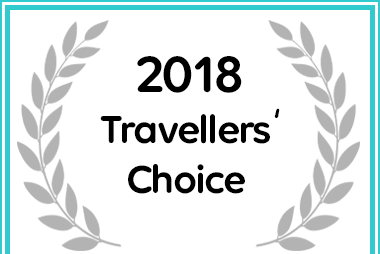 Gee Wizz Bed and Breakfast/Selfcatering has received a Scottburgh Travellers' Choice Award for 2018. We would like to wish all Gee Wizz B & B Visitors (guests) a Happy and..